By the way … what happened to Heather Nova? Remember her? The siren with the unique voice … anyway … our little birdy named Birdy might be inspired by Heather Nova and has got a unique voice, too … definitely! Now she released her second album and won lots of new fans. In my opinion her debut album was nice, really nice but not much more than nice. „Fire within“ is one step forward and some tracks carry the spirit of Heather Nova’s albums „Oyster“ and „Siren“. And this is a compliment of great songwriting with a deep sense. 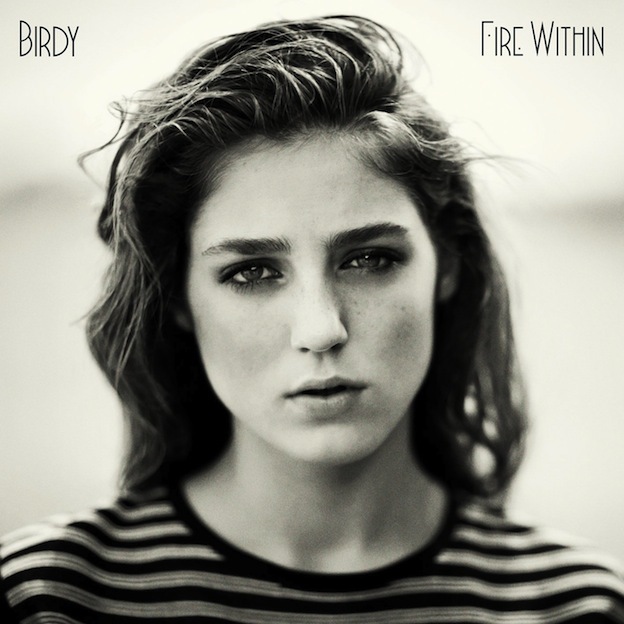 Of course Birdy carries melancholy in her heart and the piano dominates her performaces. She starts with a strong beginning with great songs such as „Wings“ and „heart of Gold“ and continues with profundity. An introverted soul who prefers self-made songs will love this album.